How is Collins Aerospace active in the area of biometrics for airports? We believe biometrics is the future of passenger travel. Collins Aerospace’s ARINC Airports biometrics services deliver next-generation, scalable products and services to create flexibility and efficiency across the entire airport environment, while validating the identity of passengers at every point on their journey. We currently have biometrics trials underway with JetBlue Airways at John F Kennedy International (JFK) in New York. The trial is in cooperation with the US Customs and Border Protection (CBP). Passengers are using biometric boarding, in the form of a facial scan, to board international flights from Terminal 5. Later this year, we are planning to launch an additional trial where we will implement biometric point solutions between two countries. In addition, we will soon start a trial for unattended self bag drop using biometric facial scans, as well as an end-to-end trial covering all main touchpoints in the outbound journey. What biometrics products does the company offer airports? As airport traffic continues to grow every year around the world, the need to keep passengers moving efficiently and securely becomes even more critical. Collins Aerospace’s ARINC SelfPass enables passengers to move seamlessly throughout the airport using single-token, biometric facial identification technology. ARINC SelfPass is designed to support the US CBP mandate to expedite biometric entry-exit tracking. Passengers simply approach the boarding gate where their facial image is captured, and the required checks and matching are completed. This automated biometric layer improves security, while enhancing the passenger experience. We also plan on trialling new touchpoints in the airport to make baggage processing faster and simpler, speed up security checkpoints, and make access to airline lounges paperless. How do you see biometrics changing the passenger experience? I think biometrics is going to revolutionize the passenger experience. Biometrics offers the capability to create an experience that is both safe and seamless, which is what passengers are asking for. By using your face, fingerprint, iris, or a number of other options, as your biometric ‘token’, you eliminate the documents traditionally used to verify your identity. Imagine not having to worry about pulling out and showing your driver’s license, passport or boarding pass at every checkpoint in the airport. We also see that this single token may carry forward your flight through your destination airport and beyond. While the experience isn’t available for all travelers yet, the use of biometrics to improve the passenger experience is gaining ground at airports around the world – and for good reason. How do you believe biometrics technology will improve in the future? New technologies are impacting the future of these programs and testing for 2019. Artificial intelligence, for example, is being used for facial recognition. This involves determining what a ‘live’ face is, as opposed to a mask or an artificial image of a face, which is critical to maintaining security at an unattended bag drop, for example. As more biometric trials progress, I think we will see full-scale production roll-outs in the relatively near future. Then the question becomes, how can we use that same technology further downstream in the check-in process, bag-drop process, and to meet security requirements to continue improving the entire travel process for passengers? What are the key challenges standing in the way of the further roll-out of biometrics? Despite its numerous advantages, implementing biometric programs at airports globally has its challenges. As you might imagine, standardization among identity documents around the world is a large one. One example – passports contain a digital file for each person’s image, while US drivers’ licenses do not. Another difficulty to consider is that the actual biometric used can vary. 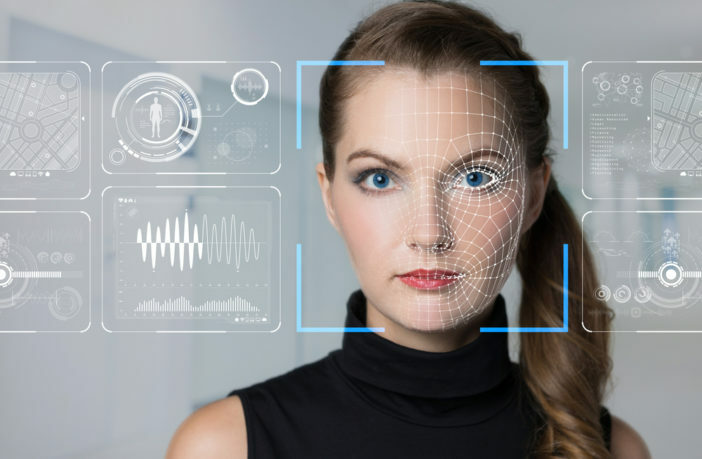 Facial recognition is the de facto standard, but that can be challenging in some cultures, for example, if a woman is wearing a garment that covers her face. It also requires passengers to look at the camera, which may not be feasible in some instances such as a disabled person or a small child. And even though other modalities, like fingerprints or iris scans can be used, they also have limitations. Privacy laws are also a main concern – specifically regarding biometrics data-sharing – and they differ from country to country. And while passengers currently have a choice and can opt out, in the future such programs could become mandatory. To overcome these challenges, I believe there needs to be a governing body involved that can make recommendations and set standards. There are also several trials set for this year to help solve the issues. Despite the challenges I do feel that an end-to-end journey will evolve with permanent enrolment. What will the passenger experience look like in 10 years’ time? Biometrics has the opportunity to remake the passenger experience. Simply put, as passengers embrace self-service technologies, biometrics enables a much faster and more pleasant trip through the airport. We believe Collins Aerospace will be a leader in making that a reality. 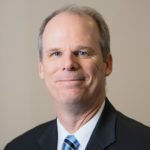 Chris Forrest is the vice president of airport systems for Collins Aerospace. In this role, Forrest is responsible for the general management of Global Airports, including setting the organization’s strategic direction and overseeing operations, product management, global support and business development. He manages operations worldwide, which includes over 160 locations throughout North America, Latin America, Europe, Asia, Africa, and the Middle East.